- 68,000-97,000Btu/hr (19.8-28.4kW) Variable output (Propane). - Fully approved gas regulator. - Features safety solenoid preventing the unit from leaking gas without first being electrically started. - Front foot offers height adjustment allowing the heat to disperse at different angles. 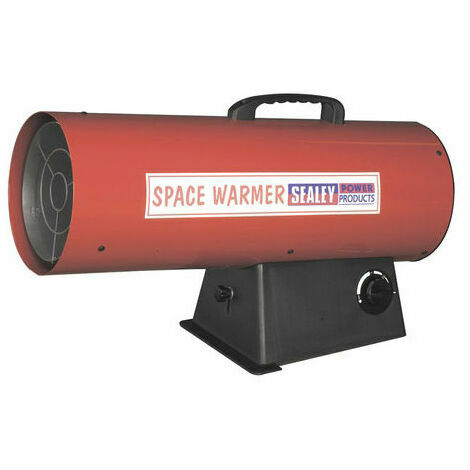 - Fan assisted, fitted with a piezoelectric ignition system for trouble-free starting and features a direct gas head assembly. - Complies with all relevant CE and EN directives and standards as certified by DVGW. - Manufactured to BS EN 416.